It is said that modern day grime music has been more groundbreaking and has had more impact on British youth than classic hip-hop. Vintage hip-hop artists have spawned many radical movements, fighting for a just cause and defending the safety of their race. Compare this to more angst ridden grime lyrics which often promote defending your ends by any means necessary, it poses a question: which genre truly defends truth, justice, civil liberties and empowerment? 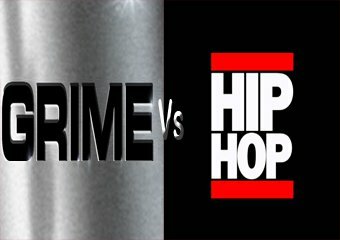 Grime versus Hip-Hop is aimed at helping us to identify the similarities and differences between the two genres and to explore when and why the UK decided to change the emphasis of rapping. The debate will take an objective stance on both sides and you, the audience, are invited to pose questions to our panel of experts representing each genre. Do you believe hip-hop is superior to grime? Do you think grime 'keeps it real' and is the voice of the youth? Whatever your views join us for what is bound to be a lively debate. This event will feature live performances from grime and hip-hop artists.